If you missed part one of this series please CLICK HERE to read it. CLICK HERE for part two or CLICK HERE for part three. The e-mails follow a progression. Also, don’t forget to use the model below as a reference. 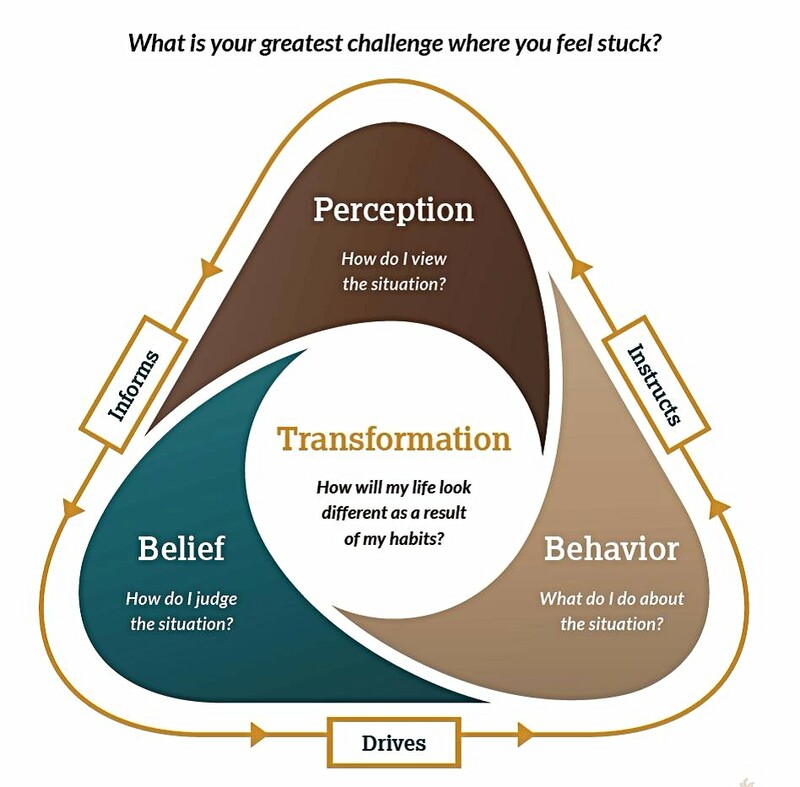 In working through the three previous steps of shifting your perceptions, beliefs, and behavior will lead you to the place of transforming your life. As you begin to incorporate these changes you will create new habits that will lead to transformation. The important question to ask is how will my life look different as a result of my habits? As we get closer to the New Year the conversations of New Years Resolutions will continue to come up. I encourage you to use this model and to engage in coaching to really make those changes on your heart. You have what it takes. You have a big purpose. Get out there and live it.